I can see this one causing a few issues if it does get implemented! Unless the bus operators step in an run some commercial evening services it means the last bus to Tavistock will be before 9pm! Even earlier on Sundays. Steves Bus and Train Page: 65588 Cheats Death Again! About 50% of patronage is within, or from Plymouth. I suppose the implication here is that Plymouth City Council should be paying the subsidy. 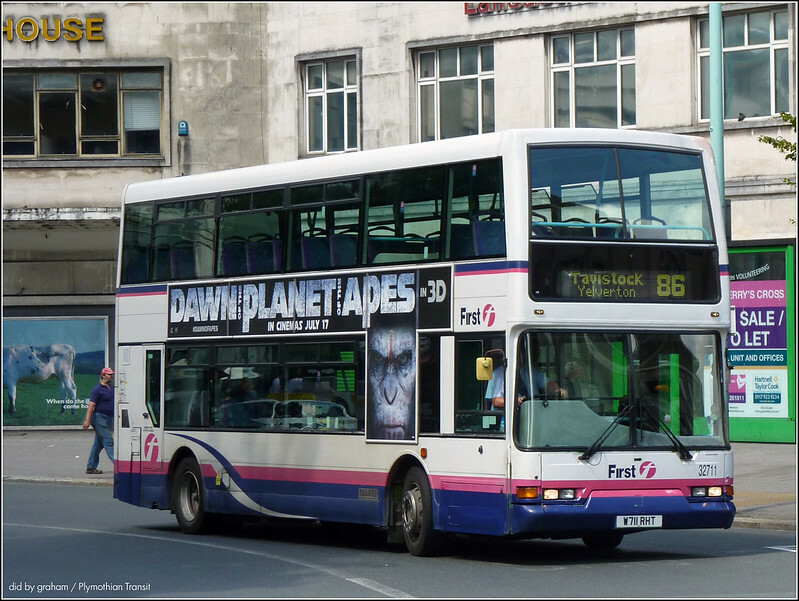 For journeys entirely within Plymouth, that may be reasonable; however the journeys from Plymouth are likely to be Yelverton/Tavistock people going home again and these are Devon ratepayers. Plymouth economy but a bit of a cheek really. As a Tavistock resident I am a bit shocked by the severity of the cuts - I can accept some of the more marginal 'trimming' but the last bus home at 2045 from Plymouth (1745 on Sundays!) is astonishing on a major corridor. It further reduces the connectivity of Tavistock from the rail network at Plymouth - I used to use the evening buses quite frequently on Friday nights when working in London. I note that the summer Dartmoor Sunday Rover services are slashed as well, which will fatally undermine the Okehampton to Exeter rail service. I should not be surprised if the Dartmoor Sunday Rover were abandoned completely - and with it the Okehampton train service which, I believe, is DCC subsidised. The Gunnislake Sunday service is commercial so I assume would not be affected. Okehampton rail service - The Dartmoor Railway association has published the passenger figures for the trains last year. The 8 journeys at Okehampton carried an average of about 30 people. The busiest services were the 9:55 to Exeter and the 15:55 return from Exeter. Thus it is used more by Okehampton folk to go shopping in Exeter than Exeter people wanting a day on Dartmoor. The train is reported to be running again for 2015. How much are the Dartmoor Sunday buses used? I would expect and hope that First might run these commercially..perhaps without the 11:45 departure from Plymouth (except Saturday) maybe? I hope that you are right, but if First does operate them commercially it does beg the question of why DCC was subsidising them in the first place? Presumably if the cuts do go ahead the future of the Tavistock outstation must be in doubt as the 83/86 service could be operated 'out and back' from Plymouth? They're not commercial now so it's unlikely that First will take on a loss making chunk of work. The Tavistock work is still Tavistock ended and a fair amount of dead mileage would be involved - the dead mileage would be more than the savings from leaving Tavistock. There was a time when you could have expected GoAhead to register them commercially, but everything says they're counting their pennies too. It maybe that perhaps DCC could subsidise the Robough to Tavistock part only, thus cutting the subsidy in half.